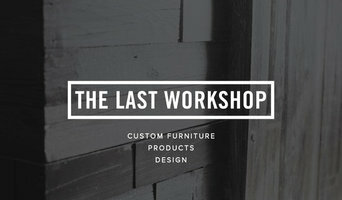 The Last Workshop is a furniture company based in Brooklyn. Our furniture is made in our studio in the Bushwick neighborhood. We aim for our designs to be timeless, functional, and well-made. From material selection to fabrication, we are focused on producing projects that are 100% sourced and made in the U.S. for both residential and commercial environments. Fancy Glass and Mirror specializes in designing and manufacturing quality glass furnitures for your homes and commercial environment accross new york area and nationwide. Our glass furniture range includes luxury looking Modern Glass tables,Giovani Mirror tables,Madani mirror tables,Ivani Glass tables,giovani glass tables,chest tables,night stant tables,kitchen glass tables. Please visit our website to see all collection and get more information. Reed Hansuld is a self-employed furniture designer/maker based out of Brooklyn, New York. His work focuses on finding a balance between modern style, high quality craft and functionality. He has been navigating the world as a designer/maker largely influenced by his beliefs in sustainability, his directive to create long lasting products in today’s disposable society gives him the satisfaction that he is giving the material the best life it can have beyond the tree. As one of the fastest growing internet furniture stores we have one of the largest selections of products on the web. Our store offers contemporary and traditional barstools, bar, pub tables & sets, dining tables and chairs, as well as outdoor furniture. Our browsing features make it easy to find exactly what you want among our hundreds of choices. Maiden Home is a new concept in custom furniture, offering designer quality upholstery pieces, custom-made by the best American craftsmen, at a fraction of the showroom price. Our sofas and chairs are handcrafted to order in North Carolina, inside some of the country's most respected family-owned workrooms. By bypassing the showrooms and delivering directly to consumers online, we are able to offer our pieces at prices at lead times unheard of in custom furniture. Our styles are customizable by size, fabric and finish and all orders deliver in six weeks or less, anywhere in the country. 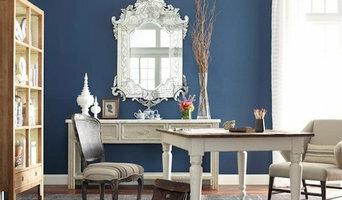 Explore our collection and order free swatches at maidenhome.com. To join our Trade Program, visit maidenhome.com/trade. MyLuxuryDecor is a NY based company offering design, de-clutter and decor services. In addition, we specialize in offering exclusive access to the highest quality décor accents, lifestyle accessories, housewares, furniture, and much more at unbeatable prices. 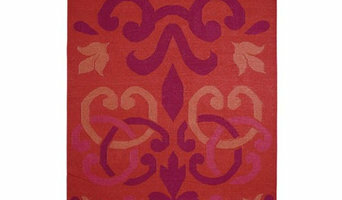 Contact us for your next home decor project or visit our site at www.MyLuxuryDecor.com for a fabulous gift idea! Nazmiyal Collection is the world’s source for antique rugs and vintage carpets. Here at the Nazmiyal Collection, we have a passion for antique rugs and carpets. For over thirty years, we have scoured the globe for the most stunning and evocative antique rugs, and have assembled a collection of only those pieces that excite us. For us, the work that we do is a labor of love. We are truly invested in preserving the magnificent histories of the foremost rug weaving cultures of the world, and believe the antique rugs in our inventory are some of the best examples of these talented artisans’ work. Our staff of antique rug experts possesses the same enthusiasm for these wonderful works of art. They have dedicated their lives to collecting the finest antique rugs and vintage carpets, as well as deepening their knowledge of the ancient craft of carpet weaving. They will help you find the perfect rug for your own unique taste and lifestyle by drawing from their own passion for antique carpets and knowledge of these rugs’ cultural histories and significance.